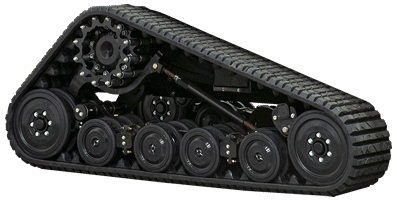 Based in the heart of Southern California, Alpine Track Systems specializes in manufacturing and supplying quality Rubber Tracks, Rubber Pads, Rubber Tracked Dumping Carrier Undercarriages, Compact Track Loader (CTL) Sprockets, and CTL Steel Tracks. We have been supplying industry leaders with high-quality products at outstanding savings since 2003. Our renowned ISO9001-2000 certified factory in China, Shanghai Huaxiang Rubber Track Co. (HXRT), is a pioneer in the use of Continuous Cable Technology in Rubber Tracks. 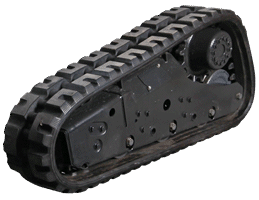 Since 2000, we have been producing and shipping our Rubber Tracks all over the world, entering the North American market in 2003, and continue to supply many OEM manufacturers with tracks known for their cohesion, strength, and durability. We use a superior rubber compound which lasts longer than natural rubber and offers many beneficial properties over natural rubber, and apply a special coating for protection against UV rays. In 2007, following the success of our rubber tracks business and responding to changing market and customer needs, we expanded our business into producing Rubber Tracked Dumping Carrier Undercarriages for Morooka and IHI, to great success. Today, our undercarriage parts are known for their reliability and versatility in harsh working environments. Then, in 2013, we undertook the task of developing Steel Tracks for Compact Track Loaders. Our CTL Steel Tracks are furnace-hardened and tempered to provide maximum strength and resistance, manufactured using high-strength steel alloy to ensure maximum durability. 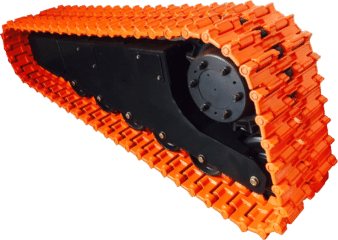 Being very easy to install, remove, or change the number of links, our steel tracks can easily be used in rubber tracked machines without having to change any undercarriage parts. Following our extensive experience in producing rubber tracks for Compact Track Loaders, we also began manufacturing CTL Sprockets in 2015. Our exceptionally durable, OEM-equality sprockets are favored by many OEM manufacturers around the world, and renowned for their reliability and seamless interchangeability with stock parts. Our company is known for our dedication to our operating principle of ensuring all the unique needs of each of our customers are fulfilled.